Quality instruments to help you start your "uke" journey. The FLIGHT D Series offers primo ukuleles crafted from exotic woods with unique, understated appointments. The DUS 322 soprano ukulele features a zebrawood top, zebrawood back and sides, an okoume neck, rosewood fingerboard and bridge, sealed die-cast tuners and a laser etched rosette. A Flight D Series gig bag is included. In Europe since 1993, FLIGHT are landing now throughout North America. 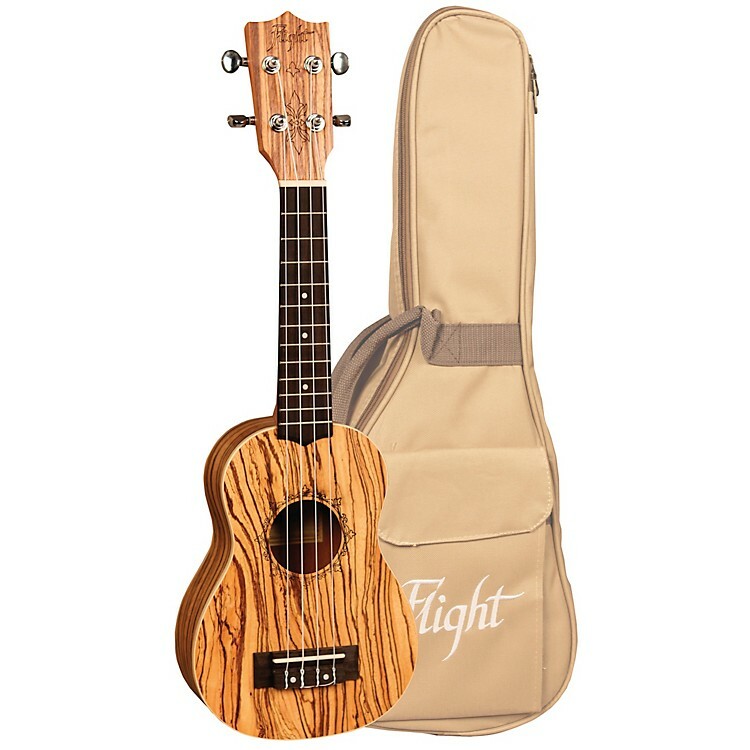 FLIGHT brings big tone to the light-hearted nature of the ukulele with prices everyone can afford. Let your music take FLIGHT. The sound of the islands is never a Flight away. Order today!